The Large Electric Projector Screen is a new design with excellent user-friendly installation features. It has sizes up to four meters wide and a whole specification that has been improved – from the material of the screen to the construction of the motorized case. This large screen is perfect for environments where a larger image is needed to be shown in front of a sizeable audience. 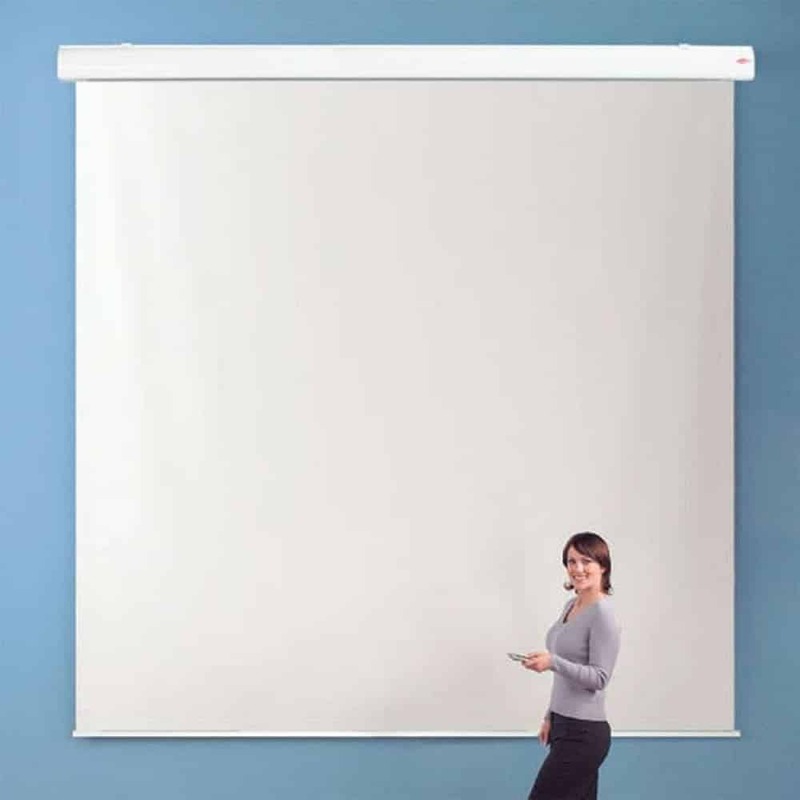 It is perfect for lecture theaters, auditoriums, school halls, churches and more. The sturdy but lightweight aluminum case is coated in a powder white color. The case has a robust mounting system for fast and secure installation, whether mounted on a wall or a ceiling. The crisp, matte white screen is made out of an easy to clean material. A black layer at the back of the screen prevents ambient light from seeping through and distorting the projected image. The motor for the raising and lowering of the screen is situated on the right-hand side of the screen. The wall switch that operates the motor is supplied as standard. As this is an electric projector screen, it does require electrical installation.